The Egyptian Stock Exchange last week saw the sale of 4.5 per cent of Eastern Tobacco, a publicly owned cigarette and tobacco company, or the equivalent of around one million shares, in the first sale of any public-sector company shares for many years. Ninety-five per cent of the shares were sold in a private placement, and five per cent were sold through an initial public offering (IPO). The shares up for grabs in the public offering were covered 4.3 times, the exchange said. The private placement was 1.8 times oversubscribed at LE17 per share. However, Ahmed Zakaria, investment manager at Okaz Investments, said that the demand for Eastern Tobacco shares had been mediocre because the company’s shares were already on the market. Glitches in the recent public offering of shares in Tharwa Capital, a financial investment and advisory firm, may have caused buyers’ loss of appetite, he added. Zakaria was critical of what he called the “unorthodox” and “ambiguous” method used in announcing the company’s private placement in February. Eastern Tobacco’s private placement was open to investor bids by the end of trading on 7 March. The Ministry of Public Enterprise released a statement in response to criticisms on social media of its late announcement of Eastern Tobacco’s private placement. It said the shares had been traded on the stock market for years. Before the private placement, 45 per cent of the shares were privately owned, the majority by institutions, and so it had been only natural to offer most of the 4.5 per cent stake in the company to the private sector, it said. In the private placement, the ministry stated that the highest demand, 94 per cent, had been recorded from foreign and Arab institutions, despite the fact that the shares were also offered to Egyptian investment funds and establishments. The ministry said this was a positive sign since it adds to Egypt’s foreign currency reserves. It was customary among investment banks not to announce a private placement before taking shares to the market to avoid fluctuations in prices, the ministry statement said. Profits of LE2.33 per share were distributed last year, the ministry said, adding that the private placement price per share had been suitable for market conditions and had reflected the optimism of foreign experts in Eastern Tobacco’s future and in that of the Egyptian economy. The ministry statement said opportunities had always been available for investors to buy company shares and that the public offering had provided a second chance. About 39 per cent of the company’s shares are currently traded on the stock market. The Chemical Industries Holding Company, a public enterprise, owns 55 per cent of the shares and the Union of Shareholding Workers 5.98 per cent, leaving 60.98 per cent of the company’s shares on the trading floor. Eastern Tobacco is a successful public company that generates annual profits. Its financial indicators for last year show an increase of LE1 billion in local sales, now standing at LE46.9 billion and up from LE36.7 billion in the 2016-17 fiscal year. Figures indicate a 27 per cent reduction in the company’s exports, recording LE75 million last year and down from LE103 million the year before. The company also contributes to the state treasury, with the government receiving LE57.5 million from Eastern Tobacco in the past fiscal year in the form of shares in profits, taxes and custom fees. It said in a statement on Monday that it was targeting to increase this sum by 18 per cent to LE67.8 million by 2019-2020. It said it was targeting to sell around 65 billion cigarettes in the 2019-2020 fiscal year, both locally and internationally. UAE businessman Mohamed Al-Abbar and several Saudi investors bought more than 25 per cent of the Eastern Tobacco shares in the private placement, according to Sarie-Eldin & Partners, a law firm. The shares are worth over LE400 million, making up 4.275 per cent of the total shares in the company. The Sarie-Eldin statement said that Al-Abbar was seeking to develop the company with other investors to better serve the interests of its shareholders. He “is pursuing the acquisition of licences to manufacture tobacco products in a number of Gulf markets and Iraq,” the statement added. The Eastern Tobacco sale is the first in a series of IPOs making up the government’s public-offering programme. Other companies lined up for sale include Alexandria Container and Cargo Handling, the Heliopolis Company for Housing and Development and Abu Qir Fertilisers. The Alexandria Minerals Oil Company is no longer on the list. Eastern Tobacco has monopolised the manufacture of tobacco and cigarettes in Egypt since its foundation in 1920. As a result, it has been said to be tasked with “adjusting the mood of Egyptians”. With products ranging from cigarettes to pipe tobacco and cigars, the company’s market share in Egypt has reached 70 per cent, while the remaining 30 per cent is reserved to foreign tobacco companies. The company produces 10 cigarette brands, three pipe tobacco brands, and 15 brands of cigars, selling them in local and foreign markets, in addition to manufacturing other brands for other companies. The offering of the company’s shares had achieved excellent results, said Ahmed Farouk, a financial analyst. He said the company was a “gold mine” that had acquired strategic importance because half of Egypt’s population consumes its products, increasing its allure to foreign investors. 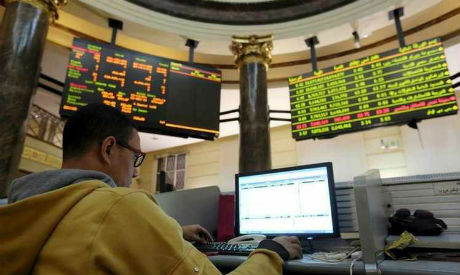 The timing of the IPO had also been good, taking place after the exchange’s main index had reached the 15,000 point and the Central Bank of Egypt (CBE) had lowered its interest rates on deposits as the US dollar depreciated against the Egyptian pound, Farouk added. The CBE’s Monetary Policy Committee decided at its latest meeting in mid-February to reduce interest rates on deposits and loans by one per cent to 15.75 per cent and 16.75 per cent, respectively, instead of 16.75 and 17.75 per cent. The government’s next step is to sell off shares in the Heliopolis Company for Housing and Development. Farouk does not believe these will receive the same warm welcome on the stock market, however, given the current slow-down in the real-estate market.